I recently attended a class on babywearing and met some wonderful mamas. One of the defining features we shared about parenting is the learning curve that we seem to constantly be on. 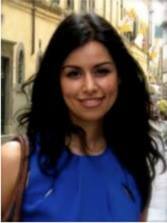 By sharing our experiences, it could serve other parents well for the benefit of our children. In this article, I focus on sharing some sustainability tips that I learned during my first time around as a parent. Enjoy! Clean skincare – Our skin is considered to be the largest or second largest organ in the human body (after the newly discovered interstitium). The skin absorbs what we place on it. 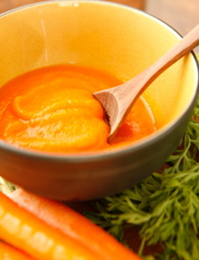 This knowledge has empowered many moms to make their own bum creams for their little ones. Many moms will tell you that the need for cream decreases when using reusable cloth diapers, however, it’s nice to have a recipe handy if needed. Some moms swear by using simply coconut oil or olive oil, while others take matters into their hands and make their own. This approach is a cost-effective way to know exactly what’s in your cream, reduces dependence on petroleum by-products, decreases packaged waste and reliance on the traditional supply chain while enabling you to make more whenever you need it. Here’s a great recipe courtesy of Merissa at Little House Living. Homemade purées – It’s possible to make fresh and nutritious food for little ones in only a few minutes. 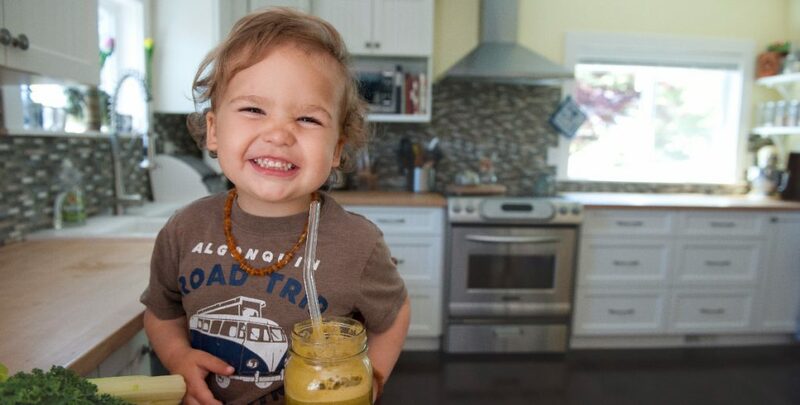 There are many recipes you can Google, and if you decide to venture into the world of the Baby Bullet – which I personally love – this blender comes with a companion book of useful recipes, nutrition tips, and appropriate foods for babies to try from 4 to 12 months of age, depending on when you feel it’s appropriate to start your little one on solids. You can also experiment with homemade recipes and store-bought on the go – whatever works for you! According to Baby Bullet, jarred baby food has a shelf life of up to three years, while homemade purées contain bioavailable nutrients due to freshness. Disposable food pouches – To reduce the amount of packaging we contribute to the landfill, the next step after making your own purées is to consider taking them with you. 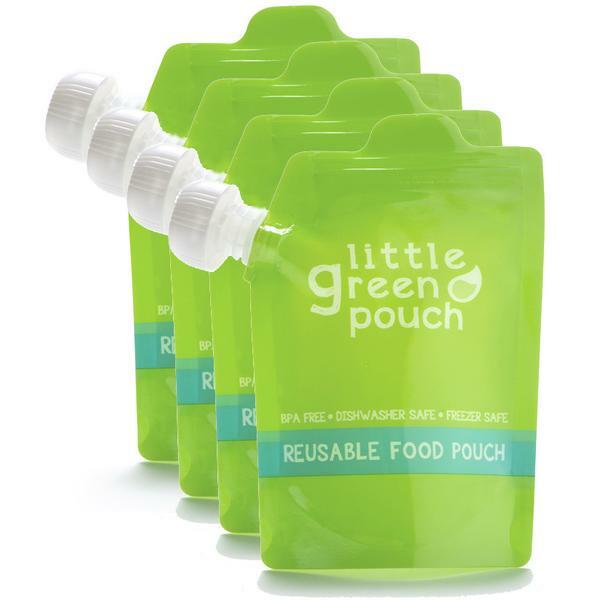 You could place your baby food in squeezable, reusable BPA-free food pouches, some of which even have spoons at the end to enable one-handed feeding. This is especially ideal if you have more than one baby. 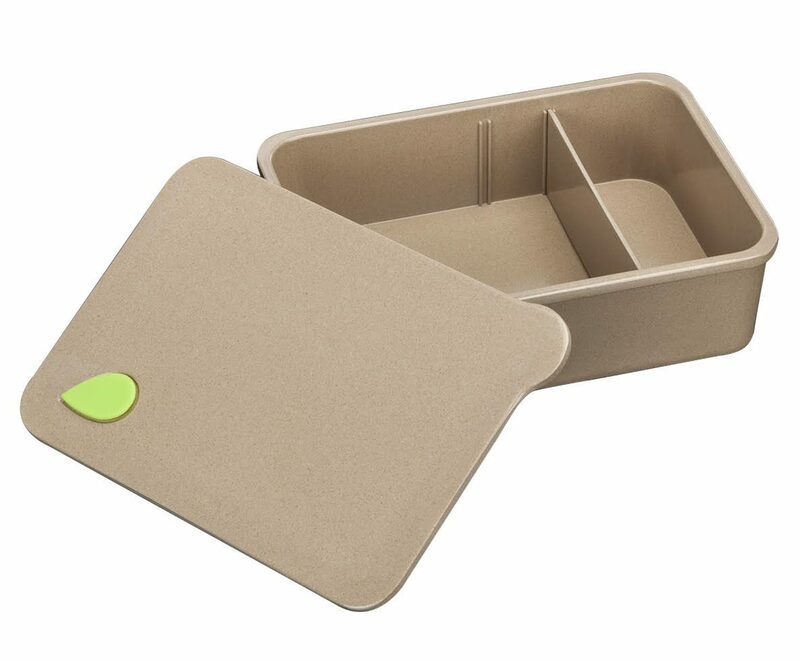 The Ahimsa Eco lunch box is also a very good size for toddler snacks and meals especially for long travel days. Its durable quality will last for years to come and it is transferable among family members, meaning you won’t be stuck with a kiddie product that you have no use for once your child grows up. And do consider the Ahimsa Eco wood spork as a safe, toxin-free alternative to conventional baby cutlery made out of plastic. Furniture that grows with your baby – Rather than buying a crib and having to dispose of it later, another approach is to buy a convertible bed that can be re-assembled into a toddler bed or a daybed, and later a full-size bed to last your child far longer. Often conversion kits or guardrails are an additional purchase. Landfill diversion and the incentive to buy a good quality permanent bed with ecologically friendly materials and paints are definite benefits. Natural art supplies – Art supplies can contain toxic ingredients and after researching, I learned about pure beeswax crayons as well as fruit and vegetable pigment paints. Both product types are considered environmentally sustainable, use low-impact production techniques based on natural honey, fruit and spices, and don’t compromise on colour. 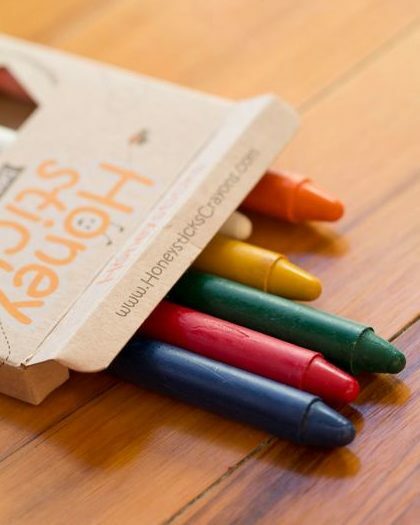 The chunkier the crayon or painting utensil, the earlier your little one can start using it!